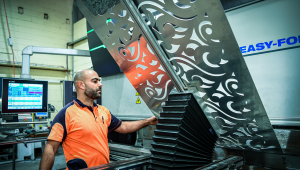 Our state of the art, 6 kW, LVD 3015 Phoenix Fibre Optic Laser Cutter has capacity for 1500 x 3000mm sheets, and thickness up to 25mm in Steel, 30mm in Aluminium and 12mm in copper and brass. 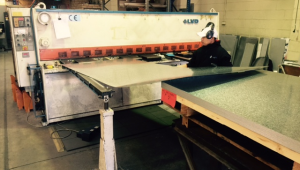 Our LVD Brand Guillotine can accurately cut sheets up to 3m in length. 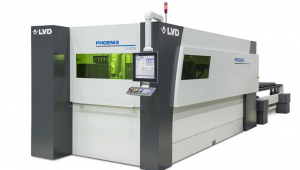 Our LVD 1225 Turret Punch Press has a bed size of 1200 x 3000mm and an extensive range of tooling to look after all your punching and forming work. 4 x CNC Press Brakes with an extensive range of precision tooling and capacity for up to 3m folds. 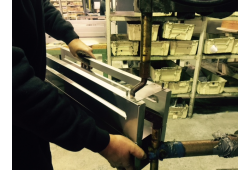 Our brand new LVD 24/12 Dyna Press Brake allows for high speed precision folding of small parts. 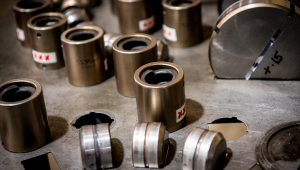 We have 3 Haeger presses for self clinching fasteners, 2 with auto tooling and a large stock of fasteners on hand. 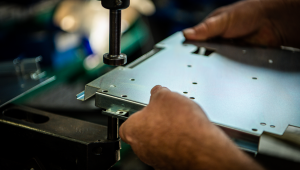 Spot and Stud welding are in house with Electric welding outsourced to selected sub contractors. 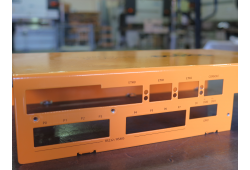 Through our valued subcontractors we can offer a range of finishes including powder coating, anodising, plating and screen printing. 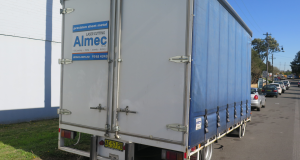 Almec services include delivery Nationwide through our trucks and series of trusted courier companies .